Lake Jindabyne:-Has picked up in most places around the lake with all the rain the browns and rainbows have been coming in closer feeding on worms. So this is a good time to try all them old woolly buggers you have had sitting in the box for some time. Fishing around gully’s and weedy areas are working well remember the fish are working the banks nice and slow so move the flies at a really slow pace. Try to find all the sunny bays the fish seem to like the sun at this time off year “well I do” the best time are around 7am till 4pm so in the Mornings get on the western side and in the afternoon go over to the east side off the lake the longer you keep that sun on you the better for the fish and you!!! Best areas in the mornings are poo bay, hatchery bay, hayshed bay, and around the Snowline Caravan park. Best areas in the afternoons are Kalkite, East jiny, on a good day you will see plenty off fish so be ready. Lake Eucumbene:- Fly fishing has been ok in most places off the lake with some good Rainbows starting to show up in most off the bays down on the bottom end off the lake. Again fish the same way as jiny and you will have a better time get that sun around you and on the water. The Fuzzy has been working good at a nice slow pace very slow when try a woolly bugger move them a little faster with a paws now and then. Again try fishing in the gully’s there seems to be more activity around these areas. most people don’t like fishing in winter to me this is a good time to be out there on a good day you will be surprised how good it can be!!! the fly fishing has been ok up the top end off the lake with some good reports there has been a few good browns and rainbow taking olive woolly buggers and Mrs Simpsons with a very slow retrieve. Please watch out for the weather reports as thing can turn very bad up there this time off year. Eucumbene: Trolling has been improving every week with some good Rainbows showing up close to the shore line and around the points Tassie devils have been the best and strike pro blades. Again the best time to fish is around 7am till 4pm keep in them sunny bays that’s where the action is. If you are going out into the deeper waters try some lead line about two Colours has been working well again with a Tassie devil or blades. 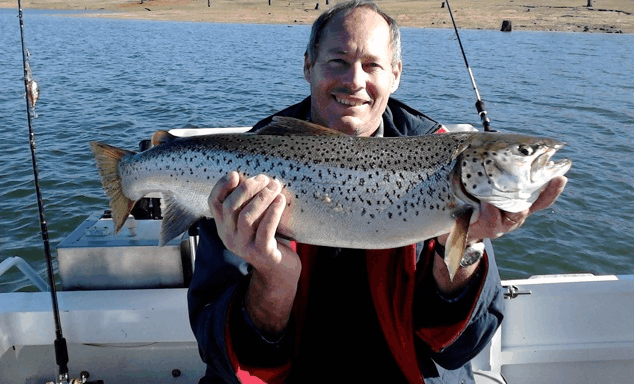 Lake Jindabyne:-not much has change Reports from Jindabyne have been picking up with some good fishing around Kalkite, snowy arm, down around the dam wall.The fishing hasn’t been that great in some areas but up around the snowy arm and Thredbo mouth the trolling has improved. I’m getting mixed results all over Lake Jindy with good and bad reports so let’s hope things will pick up soon around there. 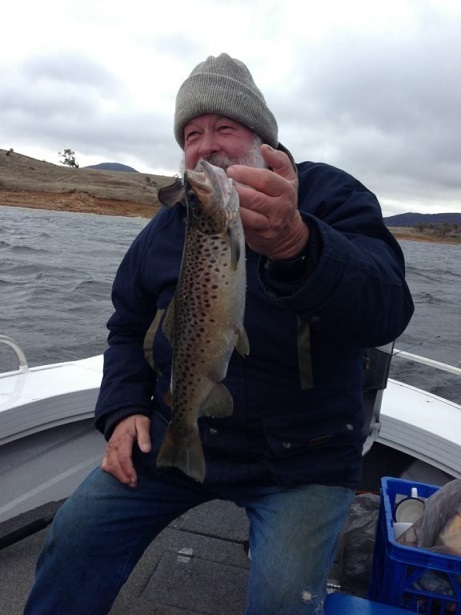 Eucumbene-:Bait fishing has improved over the last week with some good rainbows and browns taking the worms and power bait around Buckenderra, Middlinbank, Rushes bay, Seven gates. In the last week we have had so many good reports around Middlinbank that is a big Improvement. Over at Rushes bay thing have been good on the power bait and Sevens gates worms and grubs have been the stand out bait with some rainbow on power bait. Up the top end off the lake power bait and grubs has been the go with most fish on all colours off power bait. Over at Braemer Bay worms and Grubs have been doing well on the browns. Best bait is worms and grubs. Grubs have been the best. 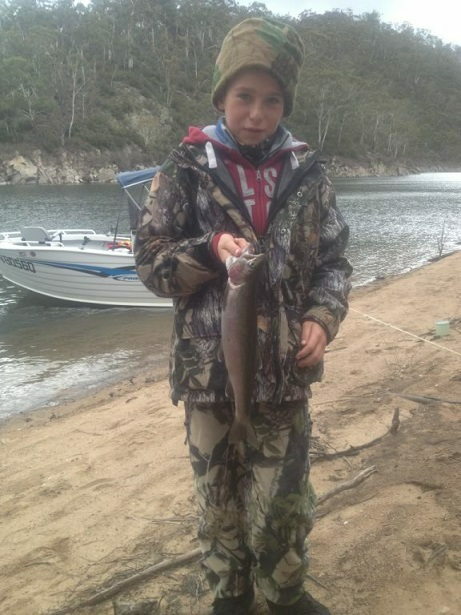 Jindabyne-: the fishing has picked up as well on the western side off the lake on the power bait with some good reports coming in from Snow liner, hay shed bay. And over at East Jindabyne the brown are taking the worms. So looks like the fish are starting to move around now on the better days not that we will get many but if the sun is out the fish are out. So jindy is worth a look at the moment.